We had a turnout of over 30 shooters today with the majority being TR competitors. We welcomed teams from Epsom, Bookham and Chichester so from that point of view it was a great success. Unfortunately we were somewhat let down by the targets that started to register scores of 1 in the middle of 5’s and V’s so there is something going on there that we will have to sort out. This happened more often than can be explained by the odd bad shot. Apologies to anyone who was affected by this, we will endeavour to rectify the problem (not one we have seen before). On the range front we have progress. 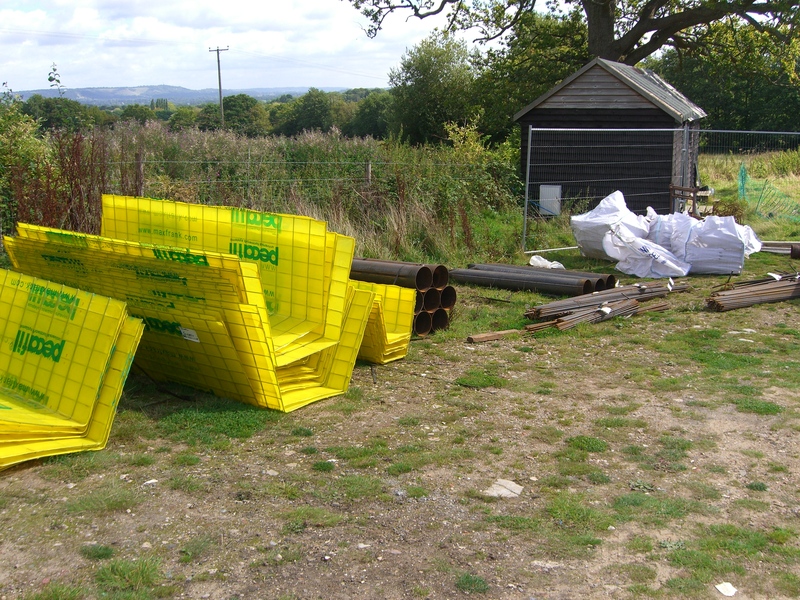 The pictures below show that the piles have been installed – the odd bits of plastic are covering the installed piles ready for the concrete. The other picture shows the steels and shuttering that will be installed ready for the concrete. 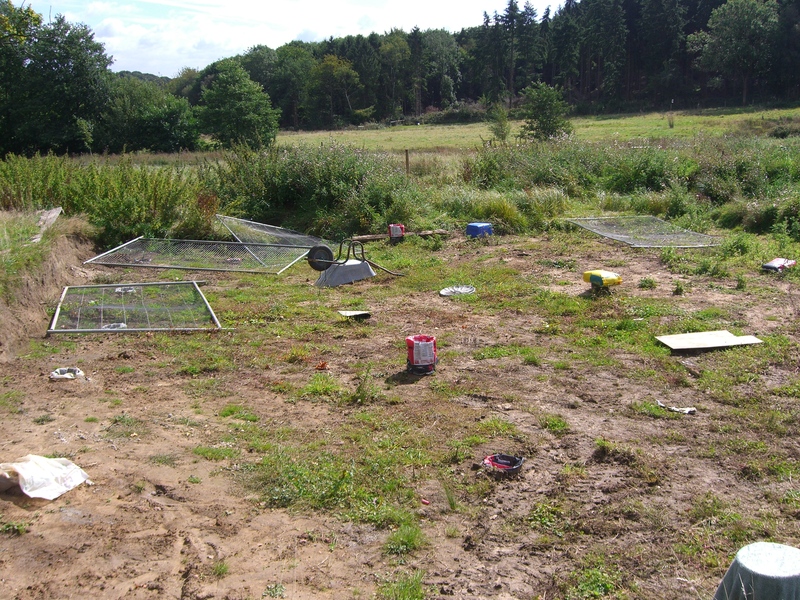 We will then get the main contractor on site to get on with the build and the restoration of our 600 yard firing point. Results are on the Results page and again given the target issue I am sure some of you did much better than the numbers show. Feel free to come back to another shoot and try again. We will update the web site if there is any progress. This entry was posted in Competition, Range on 09/01/2014 by Captain Comms.